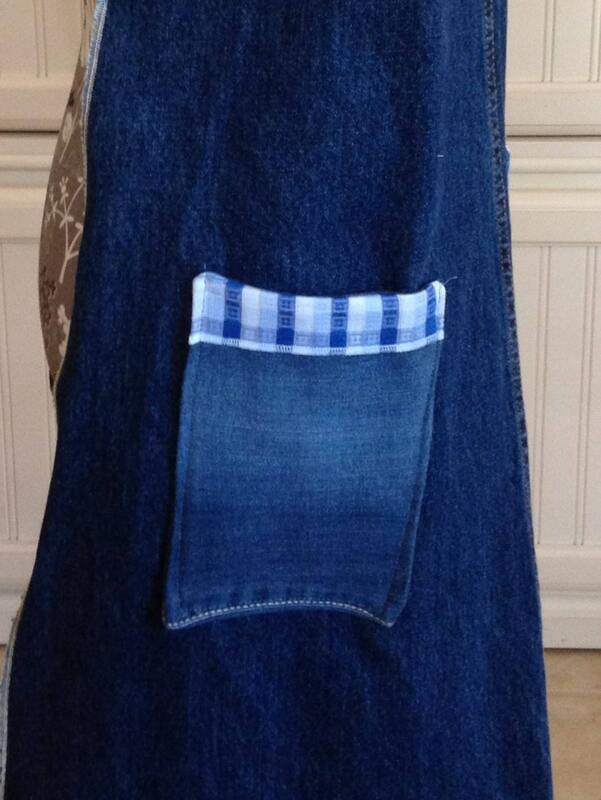 This beautiful dark denim apron is made from repurposed women's blue jeans. 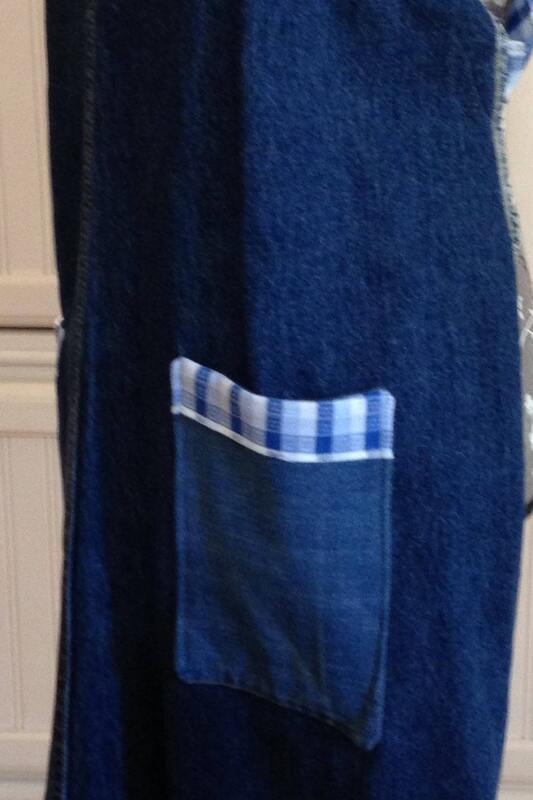 There are two large square pockets with large blue and white check trim that matches the cross back ties. 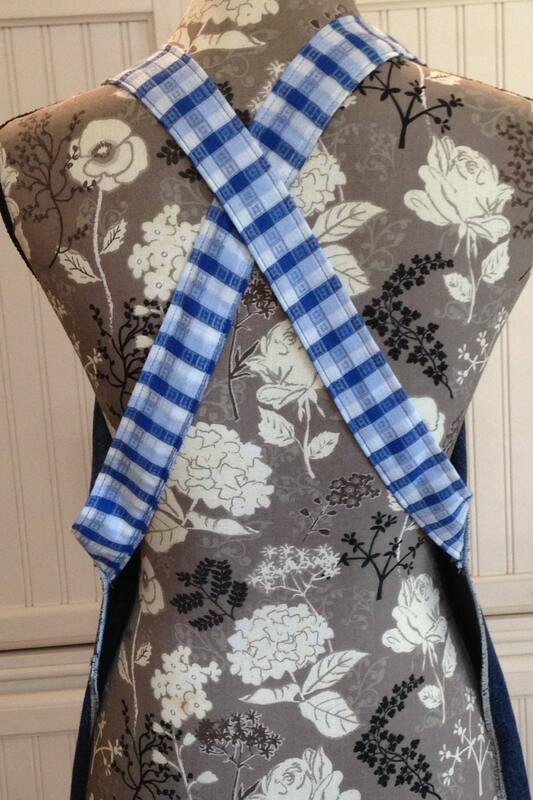 These ties with their front adjustable D rings and the apron shape make it possible for this to fit comfortably from S to XL. 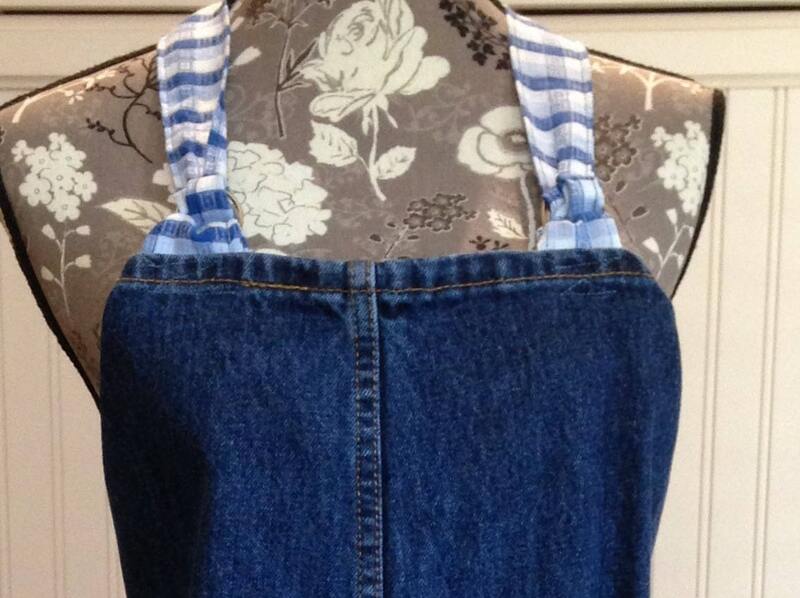 Slip it over your head to wear it with your tights and a sports bra as a comfortable dress or pop it over your clothes for a full coverage apron.